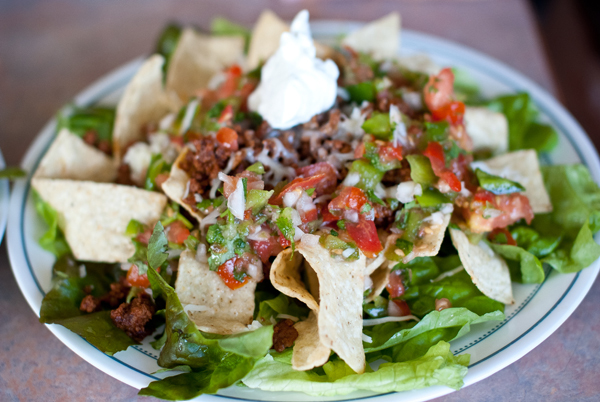 Some may call these nachos but since I usually stack up tons of lettuce, it's technically a salad. 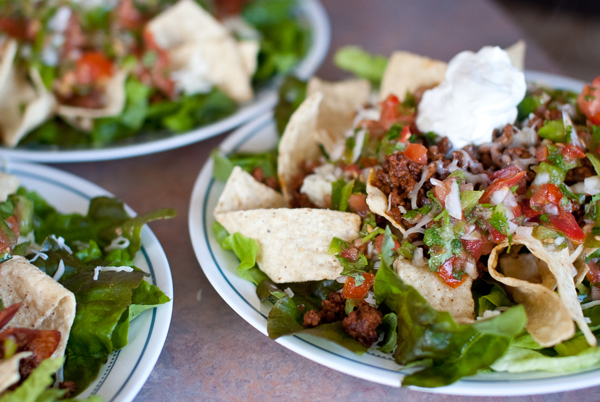 This is a pretty easy meal to make that gets you a lot of every food group; I started making this taco salad in college whenever I craved freshness and ground beef. It's a pretty loose recipe in terms of ingredients and size so adjust as you see fit. I decided that I'd make it for Duc, my friend, and myself after we saw a ground beef sale at Whole Foods. Heat up a skillet and cook your beef. Drain the fat before you add anything to it. Season with your packet of taco seasoning and make sure to follow its instructions. For the most part, they will require you to add water to the skillet so that the seasoning isn't overwhelming. 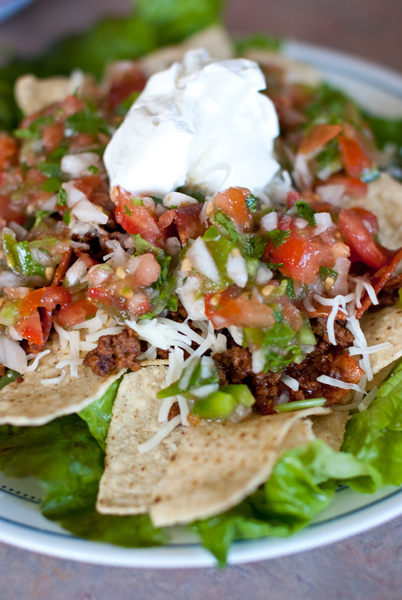 Taco salad is easy peasy. After washing your lettuce, rip a few leaves off and in manageable pieces. Lay on a plate and then put tortilla chips on. After that, spoon your beef on and immediately sprinkle with cheese to melt. Dollop on some sour cream on top and salsa it up around the sides. Dig in! Photos courtesy of Duc Duong.